Status Audio puts sound quality over flashy looks and gimmicky marketing which is ever-present in their CB-1s. These closed-back headphones were built with audio engineers in mind but you don’t need to be in the studio to enjoy them. Save 20% with code AUDIOPHILE and get yours for $67 with shipping. The CB-1s have 50mm drivers that reproduce audio without additive bass, highs, or mid-range, which give them a neutral sound signature ideal for the studio. And the over-stuffed plush ear-pads, upgraded thanks to user feedback, completely encompass the ear, providing long-term comfort and noise isolation, whether at the studio, your desk, or traveling. Couple that with two detachable cables, coiled and straight, that twist lock and a folding design, they’re the complete package. See our Gear review here. 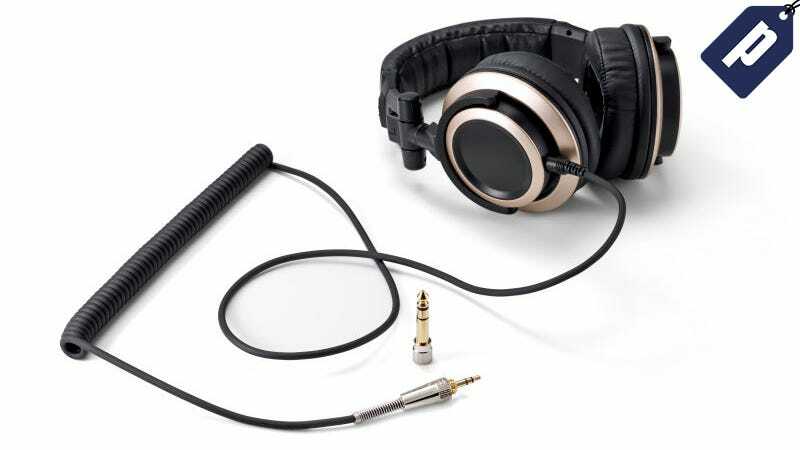 With attention to detail in every phase of the CB-1s, and a price that’s more than competitive, these headphones make sense for audiophiles and amateurs alike. Use promo code AUDIOPHILE to save 20% and get your pair for just $67, shipping included.